Science has done amazing things for nutrition in just the last five years. And really, who wouldn’t want to dramatically increase the energy, lower lipids, and cut painful recovery time from infections and other ailments in half? We all want better health and better nutrition. It’s those wants that have pushed us to continue to research how we can keep improving our health.The nutritive approach is not new. Old-time visionaries embraced it. Heck, way back in 390 B.C. Hippocrates said, “Let food be your medicine and medicine be your food.” Edison, you know, the guy who invented the light bulb, said, “The doctor of the future will give no medicine but will interest his patients in the care of the human frame, diet, and the cause and prevention of disease.” Genius, freaking genius! Even the guru of chemistry himself, Dr. Linus Pauling, stated that by giving the body the right ortho-molecules, most disease would be eradicated. 3. Longevity—healthy life spanInstead of thinking of the body as a machine that needs fixing, we first need to see the human body as complex adaptive systems. But unfortunately, everyone’s adaptive systems are not made equal. Some people have “good genes” and others don’t, but everyone’s health is a result of how well their body adapts to the environment. When someone’s environment gets the best of them with stress, bad diet, pollution, exposure to viruses, allergens, and so on, their body can’t adapt any more and they get sick. Not fun.But thanks to the products from Rain International, you can start combating that nasty environment of yours and take your health into your own hands. To date, 50 nutrients have been identified as being essential for good health. 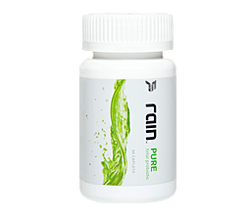 We know that the thought of even attempting to consume all 50 nutrients in one day can be overwhelming, which is why here at Rain International, we’ve made it easy for you. Over the course of time, almost every cell in your body is rebuilt and rejuvenated. Why not rebuild your body with the best building blocks available? Rain International provides some of the most essential nutrients in our products. Through simple daily use and basic healthy changes in your lifestyle, you can transform your health profile and achieve a healthier you! The cold extraction process of botanic seeds separates lipids from seed fiber. The lipids are complex with phytosteroids, essential fatty acids, diverse antioxidants, phospholipids, and dissolved minerals. In addition, the fiber contains diverse water-soluble antioxidant compounds. This process is pure and nature fresh. Studies have demonstrated that these substances produced by this cold pressed extraction process under anaerobic conditions have a much higher concentration than those produced by heat process with additives. Heat degenerates the antioxidants and thus creates loss of substance. Additives add to the impurities of these compounds. Moreover, by combining cold pressed antioxidants, synergy occurs with a much higher concentration than its’ weighted average and higher than its’ heat produced counterparts. Thus, healthier natural cold processing of these botanic seeds gives patients a better chance to support the health attributes of these substances. See for yourself what makes Rain International’s supplements so great. Here you’ll find all the specifics about the miracle ingredients in our products. Most seeds make up a very small percentage of the total weight of a berry or flower, but they contain the most potent health benefits in their tiny packages. The foundation of all of our products at Rain are the seeds. The antioxidant power in berries and herbs are often touted and advertised regarding them as free-radical scavengers but seldom is it ever explained properly about the best parts of those berries and herbs…The seeds!! Black Cumin (also known as Black Seed, or Nigella Sativa) has a history of 2500 years. This makes black seed one of the safest plant extracts for human consumption. Black Cumin Seed is an adaptogen which means an agent causing adaptive reactions. Black Cumin Seed has the ability to increase the resistance of the human body, protecting it against various ailments. Clinical trials have shown that Black Seed Oil controls Blood Sugar & Cholesterol apart from many other ailments and is considered to be one of the greatest healing herbs of all times.Nearly 70% of all traditional ayurvedic formulas contain a special blend of ingredients, which includes Black Seeds for this purpose.Nigella sativa is an annual flowering plant, native to southwest Asia. It grows to 20-30 cm tall, with finely divided, linear (but not thread-like) leaves. The flowers are delicate, and usually coloured pale blue and white, with 5-10 petals. The fruit is a large and inflated capsule composed of 3-7 united follicles, each containing numerous seeds. The seed is used as a spice as well as a Medicine to cure various diseases. Nigella sativa has been used for centuries, both as a herb and pressed into oil, by people in Asia, Middle East, and Africa for medicinal purposes. It has been traditionally used for a variety of conditions and treatments related to respiratory health, stomach and intestinal health, kidney and liver function, circulatory and immune system support, and for general overall well-being. Ribose D is a five-carbon sugar found in every cell in our bodies. Ribose D combines with oxygen and ATP (Adenosine Triphoshate) to give energy to each cell. Oxidative stress, as measured by free radical damage to cells leads to systematic inflammation. Fortunately, our bodies handle this problem daily, however if our bodies experience an abnormal increase in free radicals due to exercise, daily stress, excess smoking, excess saturated fat intake, depressed immune system, aging, and so forth, the body becomes fatigued and less efficient in producing Ribose D to replenish cellular energy. Accordingly, we need to supplement with Ribose D in order to properly repopulate the cell energy system. Ribose is a naturally occurring sugar made in the body from glucose and is an essential component of ATP (adenosoine triphosphate), the compound that stores and delivers energy in all cells. Ribose also occurs in RNA (ribonucleic acid), one of the main information-carriers of living organisms. People Use This For:Ribose taken orally is used to increase muscle function recovery, athletic performance, to boost muscle tissue energy, to enhance the effectiveness of creatine, and to replenish ATP stores. Ribose has been used for Chronic Fatigue Syndrome, fibromyalgia, improve exercise tolerance, maintain or increase energy stores in the heart or muscle cells, and improve quality of life in individuals with reduced heart blood flow. Ribose is beneficial to prevent symptoms such as cramping, pain, and stiffness after exercise. In humans, after intense exercise, muscle ATP is significantly lower, therefore taking and using ribose regularly showed marked improvement and recovery of ATP. Safety of D-ribose is likely very safe and well tolerated. Scientific literature and papers written on D-ribose date back as early as 1955. Raspberries contain natural plant chemicals that act as antioxidants to locate and destroy disease-causing free radicals. In fact, raspberries rank among the top 10 high-antioxidant fruits and vegetables. Among several potential benefits, the components in raspberry seeds may help prevent infections, heart disease and cancer. Raspberry seeds contain antioxidant-like phytonutrients including ellagitannins and anthocyanins that may help fight cancer, viruses, inflammation and a number of other conditions. Antioxidants scavenge and destroy cell-damaging substances, called free radicals, that can occur naturally in the body or from exposure to environmental toxins. Although ellagitannins exist in most berries, raspberries contain the highest levels, according to immunology specialist Dr. Susan Thorpe-Vargas. Anthocyanins, also found in many berries, help provide some of the color pigment in plants and fruits. High amounts of the ellagitannins in raspberry seeds may help fight bacteria and viruses. The coiled structure of DNA, or deoxyribonucleic acid, in bacteria must untwist itself to replicate and spread throughout the body. This process requires an enzyme called gyrase. Ellagitannins may inhibit this enzyme and halt bacterial spread to prevent illness. This antioxidant also may prohibit the action of another enzyme involved in the proliferation of viruses. Unlike bacteria, viruses cannot replicate and must “hijack” and insert their DNA into a host cell. Ellagitannins stop an enzyme, called integrase, from enabling this process, according to Thorpe-Vargas. The antioxidants in raspberry seeds may lower levels of cholesterol to promote the health of blood vessels and reduce the risk of coronary artery disease. Medical doctor Ray Sahelian cites a study published in the July 2009 edition of the American Journal of Clinical Nutrition, which observed the effects of anthocyanins on 120 subjects with high cholesterol. Participants, aged 40 to 65, received either 160 mg of anthocyanins or a placebo twice daily for a period of 12 weeks. Subjects receiving anthocyanins exhibited lower levels of dangerous low-density lipoprotein cholesterol, or LDL cholesterol, and improved overall cholesterol levels. Grape seeds have an abundant source of flavonoids, a large class of compounds found naturally in many plants and foods. More specifically, grape seeds are brimming over with a class of flavonoids called proanthocyanidins. Proanthocyanidins have special value for brain health for at least two reasons – their free radical-quenching antioxidant effects and their collagen-protecting effects. Proanthocyanidins have also been shown to markedly delay the onset of lipid peroxidation and to effectively chelate iron ions. Free iron ions are some of the most powerful promoters of lipid peroxide, hydrogen peroxide and hydroxyl radical production.1 This is a major contributor to the pathogenesis of Parkinsons disease, one of the most common neurological diseases of the aged. Proanthocyanidins are even able to cross the blood-brain barrier in order to protect delicate brain and nerve tissues. Perhaps even more important than its sheer power as an antioxidant is how grape seed extract interacts with other components of the body’s antioxidant defenses. The proanthocyanidins found in grape seed extract help other antioxidants regenerate after neutralizing free radicals, allowing them to continue the antioxidative fight. Grape seeds contain high levels of proanthocyanidins which are powerful antioxidants that aid in reducing free radicals and regenerating depleted antioxidants. Proanthocyanidins have proven to have a special value for brain health and cognitive function due to their free radical quenching antioxidant effects and their collagen protecting effects. Proanthocyanidins have proven to be especially effective in neutralizing the hydroxyl radical, the most damaging of all free radicals, as well as lipid peroxides (rancid fats). By now you’ve probably gained a new understanding to the nutritional and health benefits of seeds. But what if you still have a few questions like why we focus on the black cumin seed, what processes do we use, and where can I order some “Soul” for myself? Well, you’re in luck. Listed below are a few of the frequently asked questions we receive regarding our unique products. WHAT MAKES BLACK CUMIN SPECIAL? That’s a great question with an answer that has been in development for over thousands of years. Many cultures have revered the black cumin seed as an effective remedy for many different ailments for thousands of years! The secret is in the seed’s chemistry. These seeds are chock-full of healthy and nutritive elements that help promote a strong and effective body. Elements like antioxidants, enzymes, Omega-3, and Omega-6!CAN I JUST ADD SOME BLACK CUMIN SEEDS TO MY DIET AND EXPERIENCE THE SAME BENEFITS? Unfortunately, no you can’t. In order to tap the full potential of this exceptional seed it needs to be processed correctly. Most manufacturers use a high temperature extraction processed combined with harsh chemicals that drastically reduce the seeds effectiveness. Rain International’s cold-press process extracts ALL the nutrient rich oils and flours needed. Not only is our process better, it’s also certified organic and chemical free.WHAT OTHER SEEDS AND NUTRIENTS DO YOU USE? In additional to the almost magical black cumin seed, we include a proprietary blend of black raspberry seed, grape seed, trans-resveratrol and D-ribose. Thanks to our extensive research, we’ve found that using these simple ingredients provide an optimal (and delicious) supplement full of the nutrition your body needs! WHERE CAN I GET SOME SOUL? Purchase from one of our many distributors or buy online with a sponsor ID 132207. Soul makes it easy. Instead of guessing which of the essential nutrients your body needs each day, you get them in one easy and delicious supplement. Ask your distributor or contact us for information on Rain International’s unique nutritive supplements. 2. FROMSINGAPORE ,JAPAN,TAIWAN, HONG KONG, INDONESIA, USA CANADA TO JOINT OUR TEAM CLICK THE LINKJoined together to build residual income that will last A Lifetime and be passed down to our generations. Become a Rain Partner to purchase products at the distributor wholesale cost. Our bodies are vessels for billions of good and bad bacteria. The bulk of which are found in our intestines. The good bacteria help us digest food and synthesize important vitamins, nutrients, and essential fatty acids. These good bacteria are known to support good digestion, hormonal balance, a healthy metabolism, detoxification, and may also help improve the immune system’s responsiveness by fighting off the bad bacteria. It is important to help the good bacteria in your system maintain the upper hand by supplementing with probiotics. With PURE you’re essentially adding 10 billion tiny warriors to the cause and proactively fighting the depletion of beneficial bacteria that can leave you susceptible to infection. 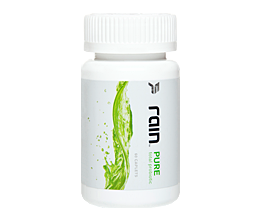 Rain Nutrition’s probiotic, PURE, uses patented BIO-tract® technology which protects our product from the harmful effects of stomach acids so that the good flora and beneficial organisms will survive until they reach the GI tract where they will go to work on cleansing and strengthening. Did you know that MOST SEEDS make up a very small percentage of the total weight of a berry or flower, but they often contain the most potent health benefits in their tiny packages. The foundation of all of our products at Rain Nutrition, are the seeds. We have all heard of the amazing antioxidant power in berries and herbs, but what no one has ever explained properly are the best parts of those berries… the seeds. Cranberry seed flour has been added to our powerful probiotic blend to ensure adequate cleansing and purification. Cranberries contain powerful nutrients called proanthocyanidins, which have been shown, through research, to help keep certain bacteria from sticking to the inside of the body. Cranberries also contain high levels of antioxidants, which help combat oxidative stress caused by free-radicals and are thought to help strengthen the immune system. Combine PURE with SOUL and you have the perfect combination of antioxidants, important omegas, and good flora to keep you balanced and healthy all the time. Rain nutrition employs a COLD PRESS PROCESS that removes the nutrient rich oils and flours from botanical seeds without harming their efficacy in the process. This method ensures that the nutrients in the oils and flours are preserved. Countless manufacturers use systems that require high temperatures and harsh chemicals to obtain extracts that are less effective. Rain Nutrition has taken great measures to ensure that the process used is certified organic and chemical-free. To learn more about the product / where to buy/ how to be a distributor contact me.WHERE CAN I GET SOME SOUL? Purchase from one of our many distributors or buy online with a sponsor ID 132207. Soul makes it easy. Instead of guessing which of the essential nutrients your body needs each day, you get them in one easy and delicious supplement.